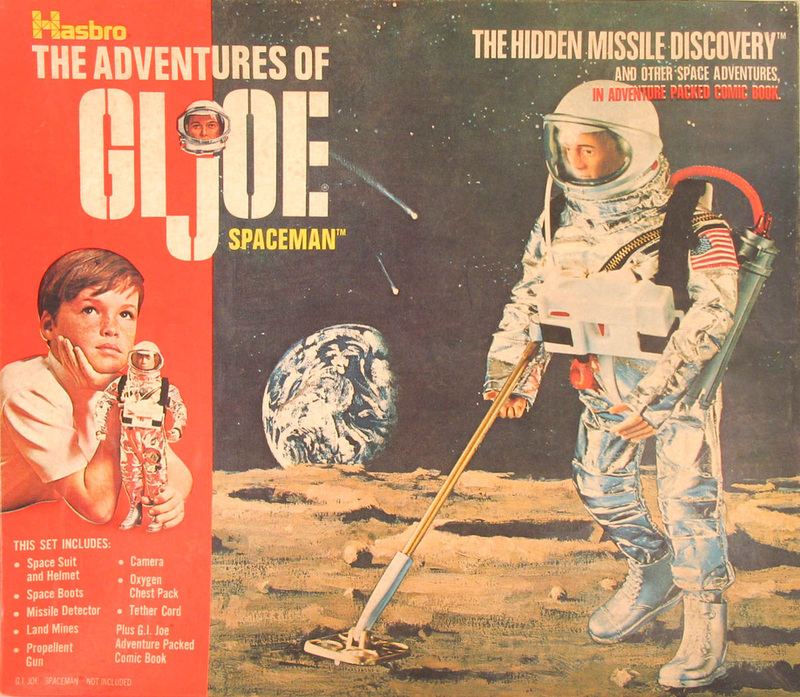 While exploring the moon, GI Joe finds an interspace missile pointed at Earth! Can he stop the launch before humanity is destroyed? Hidden Missile Discovery (7952) combined accessories found in the Astronaut sets with a working mine detector originally issued in the Marine Demolition set. The mine detector was reduced to a simple elastic harness, and for some reason there were no gloves. Joe must have tough hands to survive in space without them. 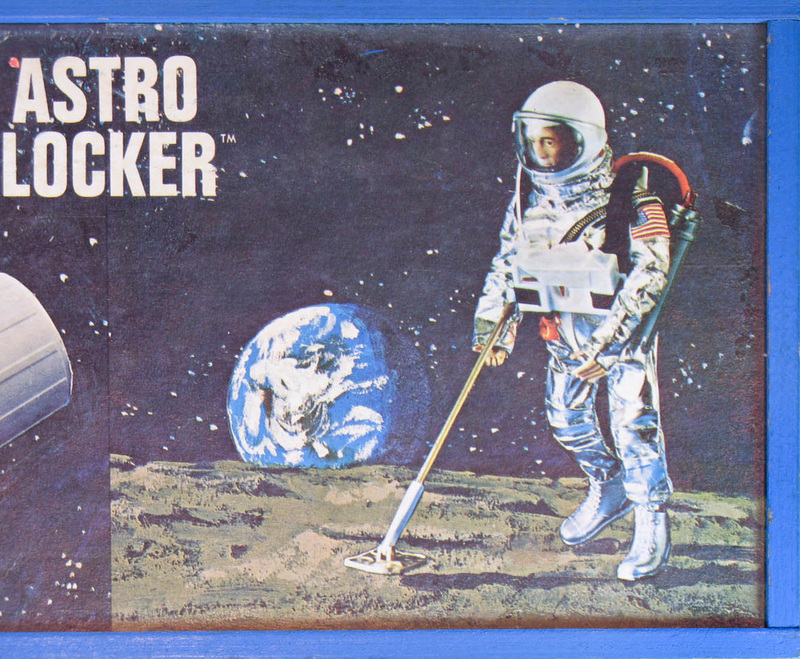 The art was also used on the cover of the Astro Locker, as shown below.